Creates the elegance of china in a durable plastic form. Beauty of china combined with the ease of a disposable. Adds a touch of grace to any occasion. Stylish plastic dinnerware is made to be sturdy. Presents the elegance of china in a more durable plastic form. PROvides the convenience of easy cleanup and disposability. Adds a touch of grace to any occasion. 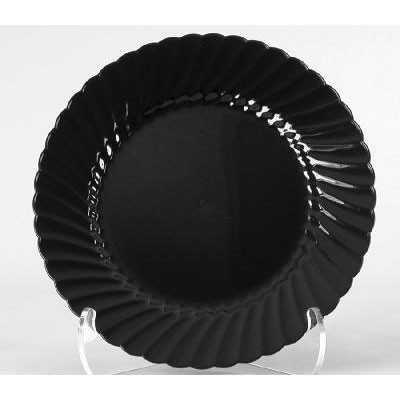 Dinnerware Type: Plate; Material(s): Plastic; Shape: Round.